Rajma Kurma makes a great side dish with any meal. 1. Soak the rajma for 6 to 7 hours or overnight. 2. Drain well and rinse. 3. Add salt and pressure cook with some more water until 1 whistle. 4. Keep aside until required. 6. Fry the cumin seeds and dry red chillies for 30 seconds. 7. Add garlic, onions, tomatoes and saute for two minutes. 8. Add red chilli powder, turmeric powder, coriander powder, salt and mix well. 9. Add the cooked rajma and mix well. 8. Grind the coconut and add to the pan. 9. Stir once or twice to mix all the ingredients. 10. Add a little water if it is too thick. 12. Add garam masala powder and simmer until slightly thick. 14. 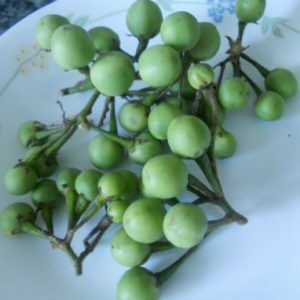 Garnish with coriander leaves and mint leaves. 15. Serve with rice or as a side dish to roti, naan, idli or dosa. 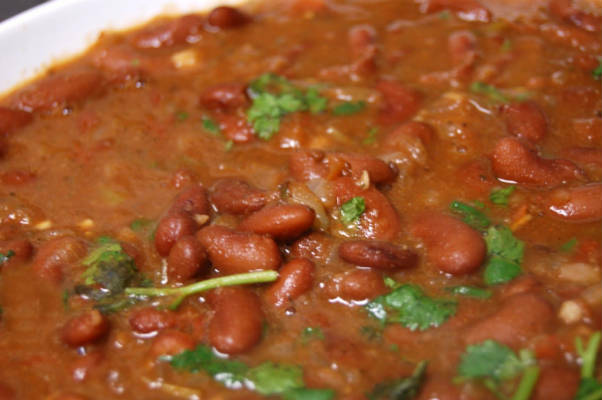 Feel free to comment or share your thoughts on this Rajma Kurma Recipe from Awesome Cuisine.